Almost six hours after the Giants were able to start their rain-delayed contest vs. the Braves, it’s absolutely POURING here at AT&T Park. 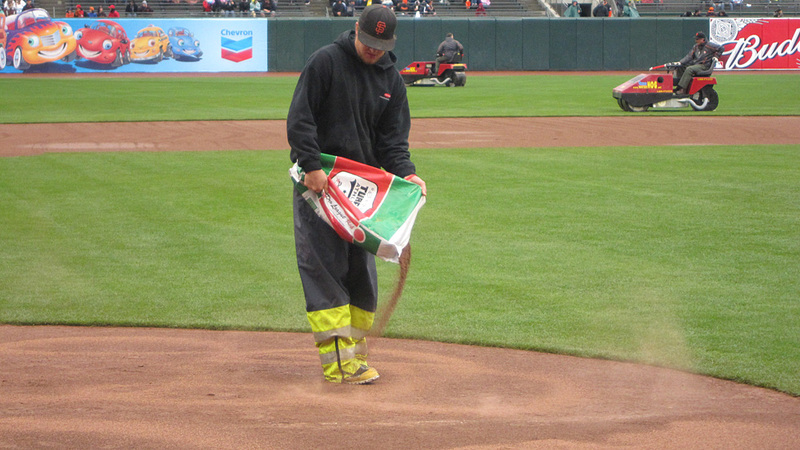 But assuming the wet stuff stops before tomorrow night’s game vs. the Pirates (and it appears as though it will), there will be no question the Giants grounds crew will have the field ready for play. 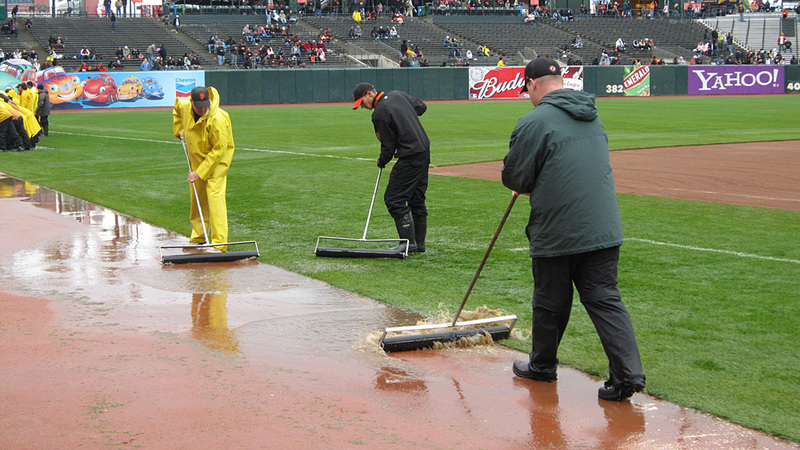 They did an astounding job today of prepping the field once the skies cleared just long enough to get the game in, using a combination of push rollers, big ol’ blow dryers, a clay conditioner named Turface and cool machines called Waterhogs (plus the amazing drainage design of the park). Spreading Turface on the mound. 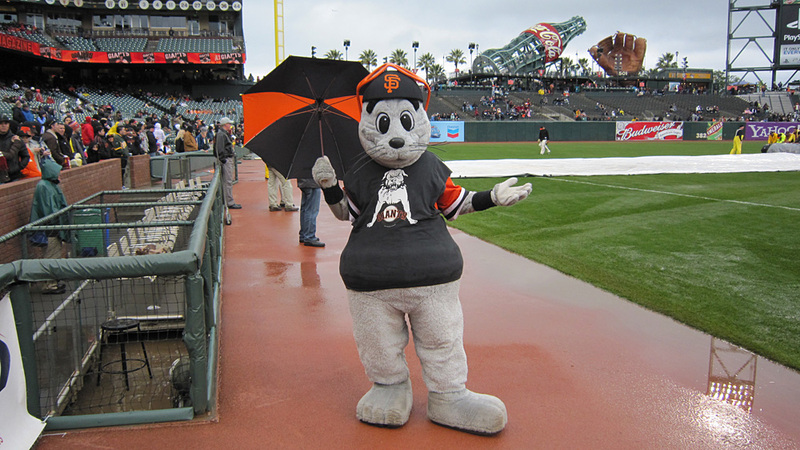 And just for fun, Lou Seal verifies the rain has stopped.